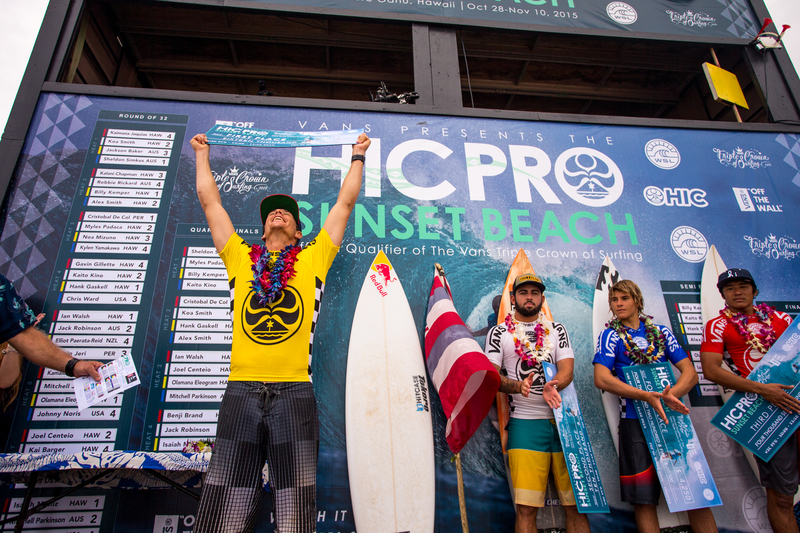 Beware of the 2015 HIC Pro winner Ian Walsh. The guy’s confidence and physical shape is next level. The guy is surfing like his hair is on fire, and in post heat interviews he seemed even more motivated to make 2015 the Winter of Walsh. Jack Robinson is not, in fact, lying about his age. 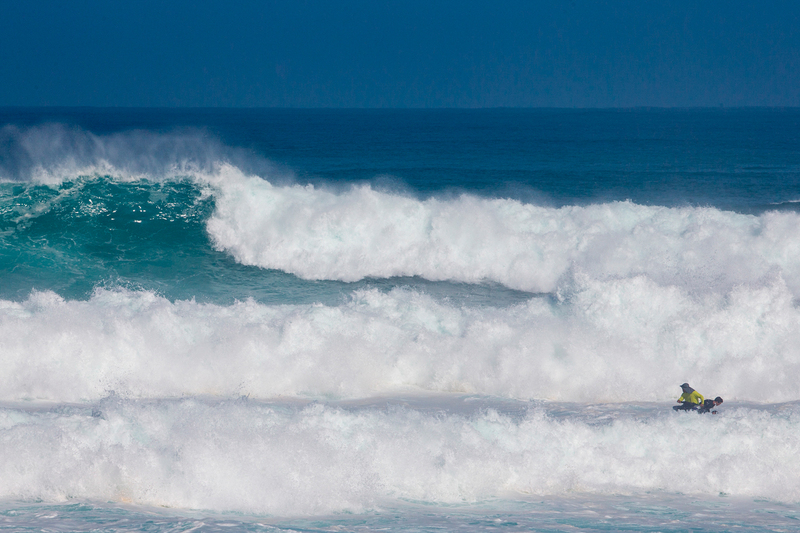 The 17-year old nailed a perfect 10 on the first day of the event with cold hard power surfing. From the beach, his nostalgic whips and carves made us believe the kid was in his late 20s and actually had ‘legs day’ marked on his gym calendar. In the heats that followed, Robo certainly didn’t disappoint. The kid screeched his way into the Finals, seeming like a surefire contender and someone who could give Walsh a run for his money. “Where I’m from in Western Australia, we have pretty much the same thing as Sunset,” Robinson said. “I feel comfortable, right at home. I just didn’t find the waves at the start [of the final]. Just needed the waves to come my way.” What did come Jack’s way was a swanky $4,250 check, and a heckuva lot of confidence… though we doubt he needs it. Danny Fuller broke our heart. It’s a script that writes itself: handsome model and artist and ambassador and heartthrob Danny Fuller, winning back to back HIC Pros. “At the end of the day it feels really good being a defending champion,” Danny said a day before the event ran. “But it’s Sunset and all I can do is my best.” And his best was more than enough to win his first two heats with poetic ease. In post heat interviews, the Kauai native was gently and politely confident. And so stylish! But the ball of Fuller momentum screeched to a halt in Round 2, and Danny quietly bowed out. No repeat champion this year. Jamie O’Brien’s choice to surf Pipeline cost him $16,000. Not that JOB needs the cash per se, but Jamie looked unstoppable – posting multiple high heat totals early on. If you’re a betting man, he was a hot hand: local, charging the set waves, and more confident than a boy enrolled at a university with a 1:6 guy to girl ratio. But then the morning of round 4 happened. Jamie was spotted laying down on a treatment table in the tented athlete area, green eyes dim and blonde hair wild. “Rolled it,” he was saying to the trainer, and half an hour later, news of the ankle injury he sustained at Pipe the day earlier (after the contest was off) reverberated throughout the beach. Feel better, Jamie! Bravo, caddys and water patrol! Unfortunately, most public faux pas are victim to social media fame, but thanks to the skill of the HIC Pro’s caddys and water patrol men, the treacherous shorebreak was carefully navigated and no one ended up on @kookslams. Great success!